The Federal Aviation Administration has ordered nearly 3,000 inspectors and other employees in safety-critical jobs back to work, according to an agency update of its staffing plan for the partial government shutdown. 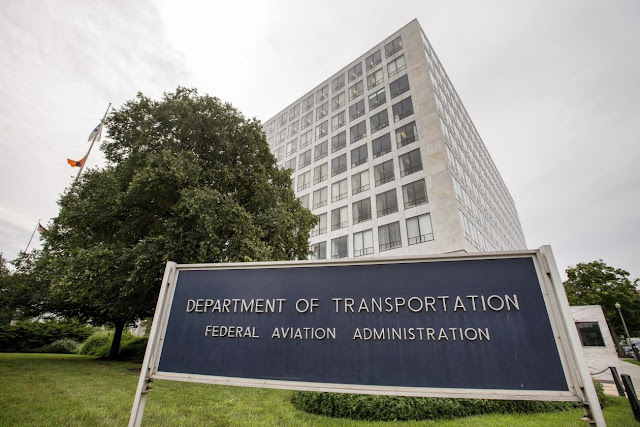 The revised count released Tuesday, which details the FAA’s latest staffing in response to the shutdown, shows more than 3,100 workers back on the job without pay in what is described as the agency’s aviation-safety organization. Before a big push that started late last week to recall safety inspectors and other employees responsible for monitoring airline operations, agency officials said only a few hundred such workers were exempt from furloughs. About 24,000 air-traffic controllers have remained on the job since the partial government shutdown began more than three weeks ago. But the recall of other safety critical employees was prompted partly by the expectation that normal funding probably won’t resume for some time. The breakdown released by the agency indicates that roughly 14,000 of the FAA’s total workforce of 44,700 remain off the job. An FAA spokesman said Tuesday that roughly 500 inspectors were working at the end of last week and about 2,200 were expected to be on the job by Friday. The spokesman didn’t elaborate on other categories of workers that have been recalled. Like many other federal agencies, the FAA has been pushed into uncharted waters by the current budget impasse because past furloughs lasted for shorter periods. That meant agency leaders generally didn’t have to make decisions about recalling the bulk of the FAA’s inspectors, engineers and other technical experts most responsible for overseeing safety and monitoring airline operations. But this time, with White House officials suggesting the partial federal shutdown potentially could stretch weeks longer, the FAA’s leadership has opted to expand categories of employees subject to recall. The decision also reflects management’s conclusion that most employees doing safety-related jobs would be willing to heed the call to resume working without pay. Since union representatives have organized rallies to complain about possible erosion of safety, FAA leaders have put the onus on employees to shore up safeguards by complying with back-to-work directives. The FAA’s revised totals also show more than five dozen high-ranking officials working, along with nearly 800 other employees assigned to manage airport improvements and carry out research and engineering functions. Some of the recalled workers are responsible for areas singled out by some lawmakers and industry officials as especially hurt by furloughs. Unless workers are specifically exempt from furloughs, it is against the law for them to carry out their normal duties while agency accounts remains unfunded.